The San Francisco Dream Wedding Giveaway is open to anyone in the U.S. Most people save for months, maybe years, to pay for their wedding. But now one lucky couple can have the San Francisco wedding of their dreams -- for free. More than 40 wedding vendors in the Bay Area are teaming up to plan, coordinate and design a high-end Wedding of the Year valued at $100,000. The 2010 San Francisco Dream Wedding Giveaway opened Tuesday and is open to anyone in the U.S.
Entrants are asked how they met, how the proposal went, what obstacles they face and why they deserve to win. What's the catch, you ask? There aren't many. 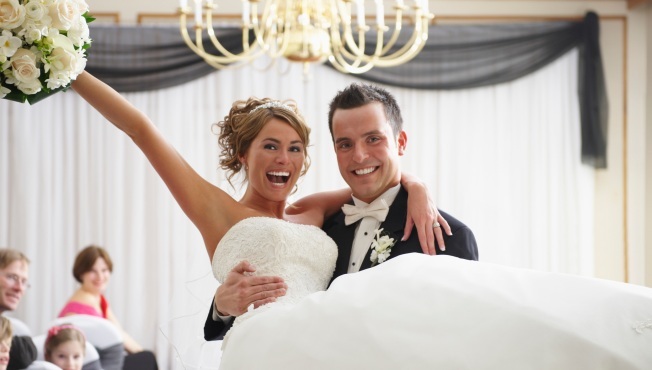 The nuptials must take place on May 14, 2010 at Hotel Vitale and there's a guest limit of 75. The public will say "I do" to the hopefuls in an online vote starting Dec. 27 and the couple with the most votes will find out on Valentine's Day 2010. A 3-day honeymoon in Napa is included.